Women’s ‘Wheel’ penny loafers slides from classic American shoemakers, G.H. 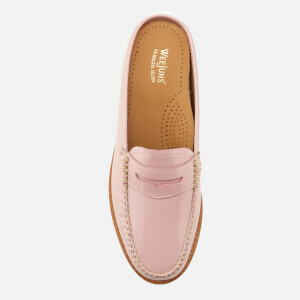 Bass & Co. Crafted with pink patent leather uppers, the slip-on mules are designed with a classic saddle across the top of the vamp, traditional hand-stitched seams in an off-white waxed thread and a moccasin style toe. 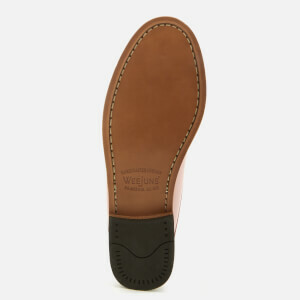 Complete with a natural leather outsole, a rubber heel for added traction and a leather sock lining with gold foil branding.